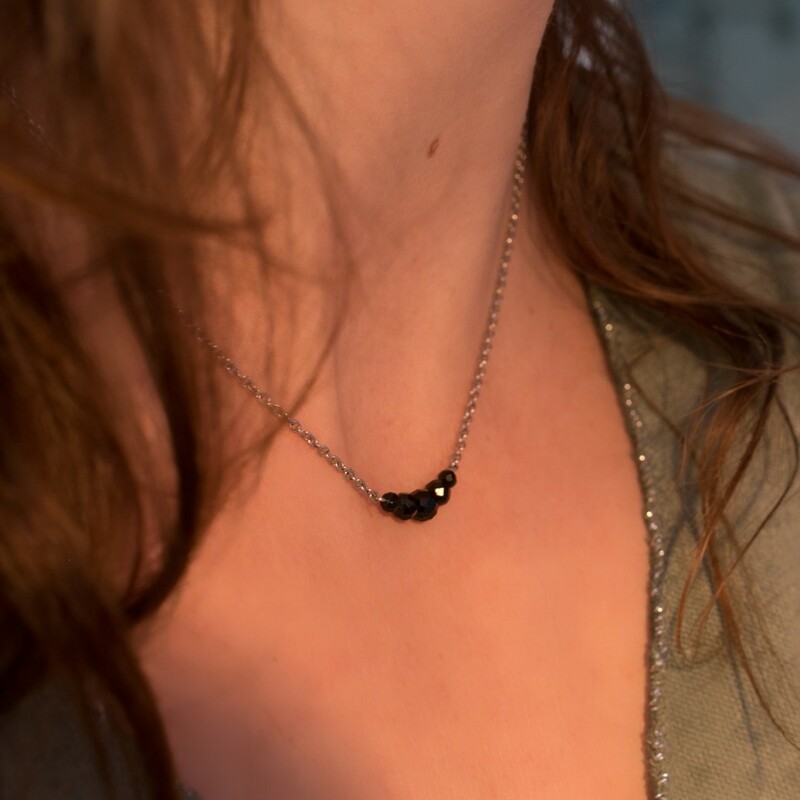 Stainless steel chain and black spinel beads. 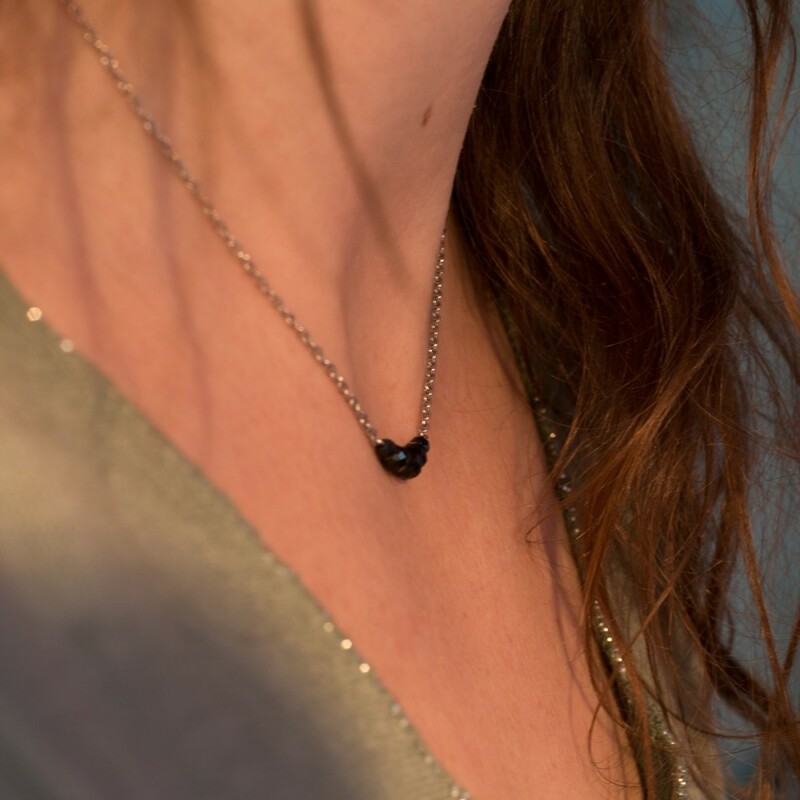 Simple, understated and easy to wear. 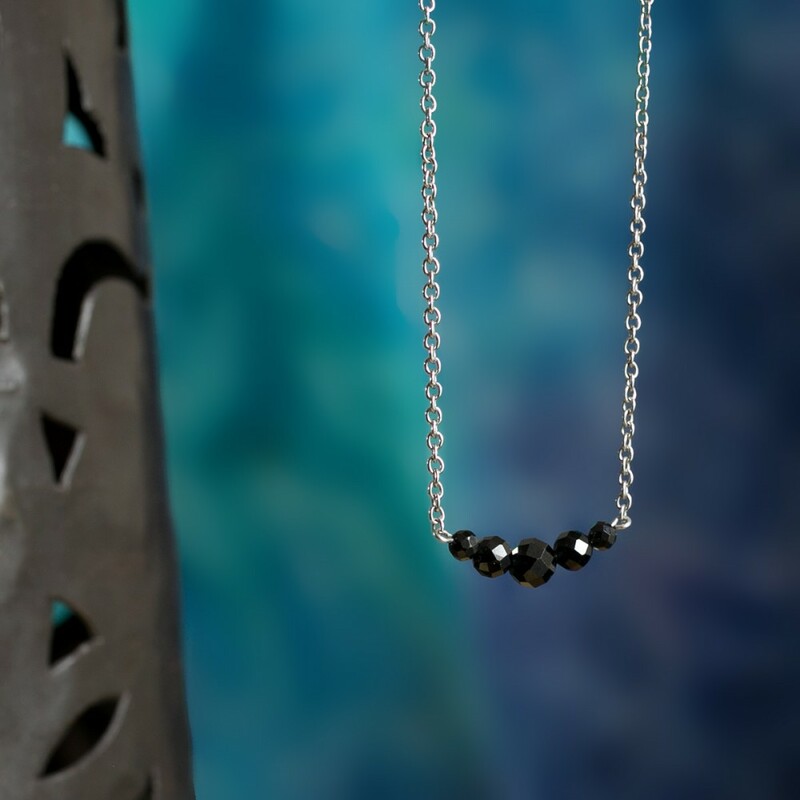 This necklace is made of stainless steel chain and genuine black spinel beads (gemstone beads). 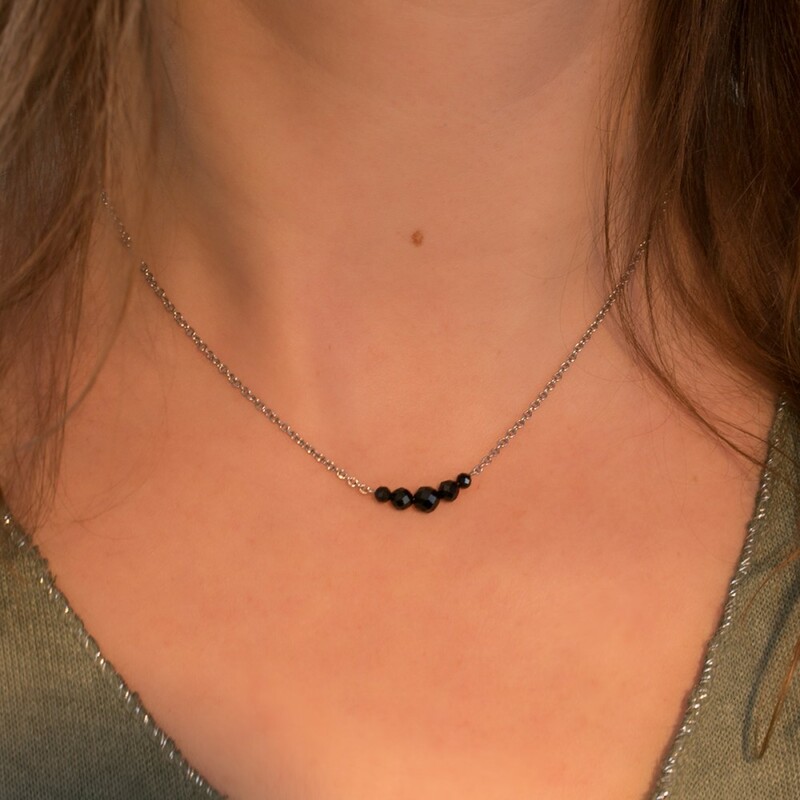 The necklace on the picture is 42cm long, if you think it might be too short, check with one of your own necklaces, and choose the appropriate length.